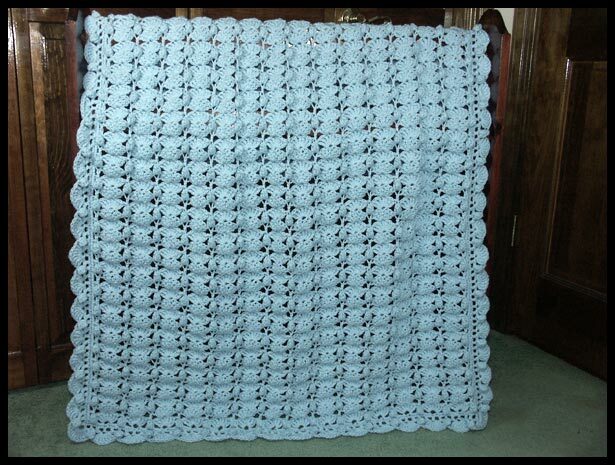 Material: Made from worsted weight Light Blue, this afghan is quite heavy at 27.8 oz and large enough to last well into childhood. The pattern is a combination of shells and popcorn stitches in the body of the afghan as well as along the border. Designed by Sarah Anne Phillips.